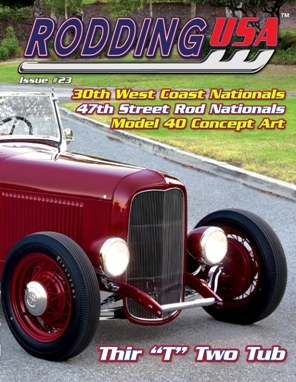 Rodding USA's Issue #23 is in stock now and ready to order. Magazines ship next day. Issue#23 features an excellent mix of six traditional hot rods and extensive coverage of NW Deuce Days and Syracuse Nationals and all our regular columns. Rodding USA, by hot rodders, for hot rodders.